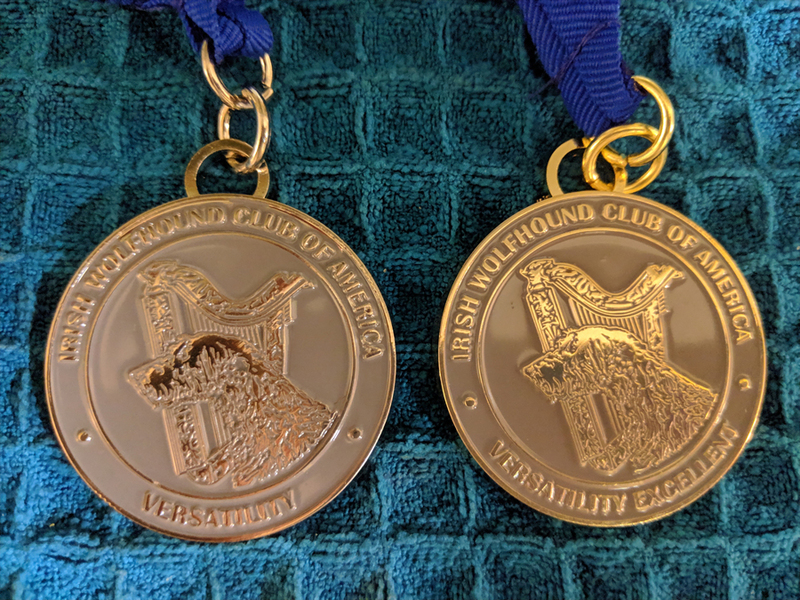 New Versatility Award Medallions Now Available - Irish Wolfhound Club of America, Inc. Here is what the IWCA Performance committee has been working on for our members — the all new Versatility Certificate (VC) and Versatility Certificate Excellent (VCX) Medallions. These will be given out for all future awards. BUT WAIT! These are so beautiful we are awarding these medallions RETROACTIVELY. If you have previously received a VC or VCX award please contact the Performance and Versatility Committee Chair. You'll need to send a copy of your VC/VCX cerftificate and you'll recieve a brand new shiny medallion. Learn about the IWCA's Versatility Awards.